Ready to learn the real differences between Amazon Seller Central and Vendor Central? If you would rather talk to a real person about this. Contact us now we will answer your questions. Once you’ve decided to expand your online reach by selling products on Amazon, you’re going to have to answer this question: do you want to use Vendor Central or Seller Central? The answer to that question depends on how you position your company in the market. In this article, we’ll cover the differences between Vendor Central and Seller Central. We’ll also explain which option works best for your business model. When you sell on Amazon, you’re going to be selling as either as first-party or a third-party partner. And there’s a world of difference between the two. If you opt to become a first-party vendor, you’ll use Vendor Central as either a distributor or a manufacturer. You’re selling items in bulk to Amazon, and Amazon in turn sells those items under its own brand name to customers. If you decide to become a third-party vendor, you’ll use Seller Central. You can still choose to use Fulfillment by Amazon (FBA) so that the company processes and ships all your orders. Alternatively, you can handle shipping all by yourself. But what are the advantages and disadvantages of Vendor Central and Seller Central? For the answer to that question, read on. How would you like set minimum pricing for your products? If that’s the kind of control that you’re looking for, then you’re going to want to use Seller Central. Amazon says that it will honor any minimum advertised price (MAP) requests. However, Vendor Central partners are known to complain that the company rarely does so. Remember, Amazon promises to match any other seller’s price. So if someone notifies Amazon that there’s a cheaper price of a product you’re selling somewhere else online, you can expect the price of your item to drop. That’s when the price war begins. Wars aren’t good. People get hurt in wars. Bottom line: a price war will hurt your bottom line. Also, it’s difficult to get Amazon to raise the price back to the MAP once the battle lines are drawn. The good news for Seller Central partners is that they can set whatever price they want for the products they sell. So if they want to take a page out of Robert Cialdini’s playbook and jack up the price significantly as a way to promote the idea of quality, they can do that. Advantage: Seller Central partners. They have more control over pricing than Vendor Central partners. Looking to partner with Amazon in such a way that the company supports you when things go awry? Good luck getting that as a Vendor Central partner. The reality is that you aren’t likely to receive any support when you sell through Amazon Retail unless your brand is a household name (in which case, you probably wouldn’t be reading this) or you fork over hundreds of thousands of dollars to Amazon. However, you can expect decent support if you use Seller Central. Amazon offers a Seller Support service that responds to problems related to inventory, payments, and listings. There’s nothing on the Vendor Central side that compares to Seller Support. You also have more flexibility as a Seller Central partner when it comes to updating your listings on Amazon. That includes changes to images, titles, bullet points, and descriptions. Advantage: Seller Central partners. Vendor Central partners receive minimal, if any support. Seller Central partners have access to a Seller Support service. Are you skilled in the art of negotiation? If not, then you’re probably going to struggle as a Vendor Central partner. Why? Because Amazon will negotiate for the best possible wholesale price on your products so the company can earn a healthy profit margin. Also, don’t be surprised if Amazon tries to negotiate the price down even further at a future point in time as sales increase. None of that will be of concern if you decide to use Seller Central. Instead, you’ll pay a flat fee (figure 8-20%) that’s a percentage of the price for each item sold. You’ll of course pay a little extra if you opt for FBA. Advantage: Seller Central partners. The flat fee that that third party sellers pay makes it easy to account for marketing costs. As we’ve just seen, Amazon will try to maximize its profit margins by negotiating for as low a price as possible from Vendor Central partners. But what about the profit margins of the partners? If you decide to sell to Amazon as a Vendor Central partner, you can expect wholesale margins. On the other hand, if you sell as a Seller Central partner, then you’ll earn retail margins. Which is better? That’s a question that you should ask your accountant. Remember, though, if you opt to go with Vendor Central, Amazon will likely attempt to negotiate your prices down even more over time. If you don’t comply, the company might look for another supplier. Then you profit margin becomes 0. At least with Amazon sales. As a Seller Central retailer on Amazon, though, you’re free to set the price that you like. Of course, if it’s not competitive, you might find that you price yourself out of the market. You’ll likely have to thread a needle that gives you a great profit margin while still maintaining a competitive edge. Advantage: Seller Central partners. They can basically dictate their own margins. Thus far, it’s looked like you’re better off as a Seller Central partner than a Vendor Central partner. Don’t kid yourself, though. There are also advantages enjoyed by Vendor Central partners. One of them is marketing. Simply put, there are marketing options available to people who sell their products through Amazon Retail that aren’t available to third-party sellers. For example, Vendor Central partners can have their own Brand or Store page, vendor-powered coupons, A+ detail content, and headline ads. All is not lost with Seller Central partners when it comes to marketing, though. They can create pricing promotions. However, creating awareness about those promotions is a little more challenging. Also, Seller Central partners can create ads that appear on Amazon’s website. The company currently offers three places for the ads: the login page, the home page, and the application page. Advantage: Vendor Central partners. They gain from Amazon’s marketing efforts. If you decide to become a Vendor Central partner, don’t be surprised if Amazon runs out of your products. The company is known to let that happen without any “low inventory” notice. Also, Amazon tends to trim down its inventory of certain products over time, furthering the risk that it could run out. If you opt to go with Seller Central, though, you have much more control over inventory. You can store it at your office or at an Amazon fulfillment center if you’re using FBA. Keep in mind that storage at fulfillment centers comes with a price tag based on the amount of space you use, so manage your inventory wisely. Advantage: Seller Central partners. They have greater control over their inventory. Sadly, there’s no shortage of horror stories about Amazon’s reluctance to pay Vendor Central partners. For starters, the terms could cause cash flow problems for many small businesses. Amazon usually offers 2% Net 30, Net 60, or Net 90 terms. In some cases, vendors who opt for Amazon Retail had to hire third-party companies to provide proof that products were actually delivered to Amazon. In other cases, Amazon insisted on a $25,000 co-op fee payment in order to receive $250,000 in accounts receivable. If you can’t deal with those headaches, you definitely shouldn’t use Vendor Central. On the other hand, Seller Central partners get paid every 7 or 14 days. Of course, those payments are minus the sales commission and any applicable FBA fees. But the payment is much faster. Advantage: Seller Central partners. Payments are much quicker. Another area where Vendor Central partners have an advantage is when it comes to customer service. That’s because Amazon handles all aspects of customer service, including issues related to fraud. It’s true that Seller Central partners can use FBA to handle most aspects of customer service. However, the seller will still be responsible for customers who make claims about receiving fake products. Bottom line: if you decide to sell as a third-party on Amazon, you’ll find that it’s more difficult to challenge dishonest competitors who pose as customers. Advantage: Vendor Central partners. Amazon takes care of all issues. If you’re interested in selling to customers outside of the United States, you should use Seller Central. Why? Because Vendor Central partners can only sell in the U.S. marketplace at the Amazon.com website. If you want to sell on Amazon.ca (Canada) or Amazon.mx (Mexico), you can create a unified North American account and sell your products across the border. Advantage: Seller Central partners. Expansion into foreign markets is much easier for third party sellers. So far, the lion’s share of benefits belongs to Sellar Central.But if you’re new to Amazon Seller Central, you’ll find that there’s a learning curve involved. It will take some time to understand all the features and use them to your advantage. Here are 10 tips if you’re just getting started with Amazon Seller Central. Even if you’re selling several products with different brands, you should use one account. Why? Because you’ll find it’s easier to manage one account than multiple accounts. Although you can set up a separate account for each brand, you’ll have to log out and log back in again every time you want to manage a different account. That’s a waste of time. There is an exception to this rule, though: if you’re selling in different marketplaces, you’ll need to create a new account for each marketplace. For example, if you’re selling in the Americas (Canada, the United States, and Mexico) and Europe (UK, Italy, Germany, France, and Spain), you’ll need a separate account for each of those regions. You don’t need a separate account for each country, though, because Amazon (thankfully) has unified accounts for those regions. Amazon now offers two-step authentication. If you’re unfamiliar with two-step authentication, it’s an added layer of security for your account. You’ll login with a password plus a security code. How do you receive the security code? There are multiple options, include a text message sent to your phone, a voice call, or an authenticator app. The advantage of two-step authentication is that if somebody gets your password, that person still needs the security code to login. It’s going to be difficult to get that security code unless the individual who stole your password also has your smartphone. It’s difficult to overstate the kind of financial ruin that a malicious person can cause by getting into your Amazon Seller Central account. Do yourself a favor and beef up security with two-step authentication. Although we’ve just covered the importance of keeping your Amazon Seller Central account secure, you still might need to let other people into it. That’s because it can be time-consuming to manage the account all by yourself. Fortunately, you can give access to your employees, partners, and even your assistant. Amazon uses an invitation model to enable other people to access your account. You can also assign them varying levels of rights. The Amazon Account Manager will send them an invitation email with a link. Recipients just need to click the link to begin the sign-up process. Unfortunately, sometimes people aren’t going to be happy with the products they buy from you. They’ll return them. When that happens, you’ll want to know why people returned your products. Fortunately, Amazon Seller Central has a report for that. Go over that report and look for a common theme. If lots of people are returning your product for the same reason, then you have a problem you need to fix. Take care of it. Amazon is a search engine just like Google and YouTube. You’ll want to make sure that your product listings are optimized for search. To do that, you might need to enlist the aid of a tool like AMZ Tracker or Scope. Those tools won’t be free, but they could be worth the investment if you generate plenty of additional sales. Also, you should familiarize yourself with Amazon’s A9 search engine. Moz has a nice write-up about it. If you’re just getting started with selling on Amazon, you might not sell more than 40 items a month right out of the gate. That means you probably don’t need a professional seller account. If you register as an individual seller, Amazon will charge you a commission plus 99 cents for every item that you sell. If you register as a professional seller, you’ll spend $39.99 per month. Amazon will charge you the same commission as an individual seller for each item you sell but will waive the 99-cent fee. You probably want to use Fulfillment by Amazon (FBA). When you choose that option, you’ll send your products to an Amazon warehouse and let the company deal with shipping, handling, and customer service on your behalf. Yes, that will cost you extra. You’ll also likely find that it’s worth it. Why? Because when you don’t have to deal with tedious tasks like shipping and handling, you have more time to focus on growing your business. The Buy Box is the appropriately named widget on an Amazon product detail page that users click when they want to purchase the item. If you’re selling the same product as other vendors, you want your item to win the Buy Box. Sometimes, your customers will send you messages. You can see them in Seller Central. Head over to the Customer Satisfaction report. Look for a box labeled “Notifications” on the right-hand sidebar. That box will show you the number of unread notifications that you have. Click on that link to check out the most recent communications that you’ve received from customers. Make sure you reply promptly. Amazon keeps track of how quickly you respond to customers. One of the best things you can do to close sales on Amazon is get lots of 5-star reviews. Unfortunately, though, lots of satisfied customers won’t leave reviews on their own. That’s why you need to ask them to leave a review. Do yourself a favor: pick up a tool like Feedback Genius and automate your efforts to solicit positive reviews. You’ll spend money, but it’s part of the cost of doing business. You get access to special programs like Vine, Subscribe & Save, and more. As you can see, the lion’s share of the benefits belong to Seller Central partners. So if you’re in any way on the fence about which option to choose, select that one. On the other hand, if you’re running a company with a distributor or manufacturer business model, you should become a Vendor Central partner. Keep in mind that you’re likely to face some challenges, though, especially if you’re running a small business. You’ll have to wait a while to receive your money, deal with limited customer service, and manage your own inventory very carefully. Even with all those risks, the opportunities for marketing to Amazon Retailers are superior. 1.Is it possible to have both a Vendor Central and Seller Central account? Yes, it is possible. It’s recommended when negotiating your contract with Vendor Central that you ensure you can keep your ability to list items as an independent seller. However, it is a violation to have two seller accounts with prior approval from Amazon. Without approval, both accounts could be suspended. 2. Can anyone join Amazon Seller Central or Vendor Central? Anyone is free to join seller central. To become a member of Vendor Central, you must be invited by Amazon. 3. How do I get invited to Vendor Central? Amazon will generally invite brands that have registered high sales in Seller Central. You may request an invite from your Amazon buyer, but there is no guarantee that you will receive one. 4. Who handles the shipping for Vendor and Seller Central? With Vendor Central, Amazon will ship the orders to customers, unless another arrangement has been previously agreed upon. With Seller Central, merchants handle shipping themselves or use Fulfilled by Amazon. If you choose to use Fulfilled by Amazon, you will pre-ship your supplies to an Amazon fulfillment center. Once someone places an order, Amazon will pack and ship the order to the customer and handle all customer support, including refunds and returns. 5. Do I get to set the price? Using Seller Central, the merchants get to set the price of the items, subject to Amazon’s General Pricing Rule. Using Vendor Central, Amazon sets the price, and can lower it to match the lowest price available in other sites or stores. 6. What’s the difference between an Individual and Professional in Seller Central? Individual sellers sell only a few items and operate on a pay-as-you-go basis, meaning they are charged .99c for every item they sell. They also list each item individually . Professional sellers are not charged by item, rather charged a monthly subscription fee of $39.99. They are able to list multiple items at once using spreadsheets and uploads. 7. When should I convert to Professional? Generally, if you sell more than 40 items a month it will be more cost effective to switch to a Professional seller. 8. How long will it take to get paid using Seller and Vendor Central? Using Sellar Central, sellers are paid every 14 days through Amazon Payments. To initiate, sellers must register their bank account information with Amazon. After a sale, Amazon will process the order and credit the net proceeds to your account, which are then transferred to your bank every 14 days. It can take from one to three days for the funds to appear in your account. You can expect much slower payments with Vendor Central. Most contracts are paid with an invoice on net 60 terms. If Amazon pays in 30 days, they give themselves a 2% discount. Payment time can vary greatly and you won’t necessarily know when it will arrive. 9. Which is more expensive? Vendor Central or Seller Central? 10. Which is harder to use Vendor Central or Seller Central? With Seller Central, you have more control over the process. You set your own prices and stock your items. Using Vendor Central, you sell a wholesale amount directly to Amazon, who in return sells to consumers. They may not buy as much as you’d like, and Amazon sets the price each item sells for. The flip side is that using Vendor Central, Amazon takes care of all the customer service issues, complaints, returns and refunds. Unless you use Fulfillment by Amazon in conjunction with your Seller Central account, you will have to handle the customer service aspects yourself. Generally speaking, Vendor Central may be easier to use, but not necessarily the better choice. 11. Does Amazon Vendor Central require a warehouse in USA? Is that mandatory? If operating outside the United States, Seller Central is recommended. As a seller, you can ship directly to a Fulfillment By Amazon warehouse or directly to the customer. Remember, you will have to clear the products through customs and pay any import duty or taxes. Your customs broker or freight carrier such as FedEx will handle this for you. 12. How much does shipping cost? If you fulfill orders by yourself with Seller Central, Amazon standard shipping rates will apply to media products. The rates are based on the shipping service selected by the buyer and the product category. For orders fulfilled by Amazon via Vendor Central, you will be charged fees for order fulfillment, storage and other optional services in addition to Selling on Amazon fees. Is it against amazon’s policies to have both a vendor central and seller central account? 13. If using seller central, should I ship myself or enroll in Fulfillment By Amazon? We recommend using Fulfillment By Amazon (FBI) to ship. It gives you more credibility with customers and can often lower shipping prices, and doesn’t require you to deal with returns, refunds or customer inquiries. 14. Are there service fees involved with Seller Central or Vendor? Using Seller Central you will be charged a pay-as-you-go fee; .99c per item as an Individual or $39.99 as a Professional. Because Amazon uses wholesale pricing with Vendor Central, they will generally ask for a payment of 4-10% to help cover marketing and slotting costs. If sales increase, they may also request more in marketing fees or on-going account support fees. 15. Can I sell to customers outside the United States? If you are using Vendor Central, your products will only be sold on Amazon.com, and therefore only the US marketplace. To sell outside of the country, you would need to have separate vendor accounts for Amazon.ca or Amazon.com.mx. If you are using a Seller Central account, you can create a unified North American account (United States, Mexico and Canada) and a unified European account. Using an Individual account, you will pay fees per item depending on the marketplace where the item was sold. With a Professional account you will only be charged $39.99 monthly fee. 16. Is gift wrapping and gift messaging an option? Yes. Amazon offers a Gift Wrapping service which allows users to select an additional gift wrap option and include their own messages. 17. Do I have to pay to list items on Amazon Seller Central or Amazon Vendor Central? No. You pay per item sold or a monthly subscription using Seller Central, and pay a percentage of sales using Vendor Central. 18. What will happen if we decline the offer to join vendor central? Will Amazon “blacklist” us? Most likely you will continue to get offers from Amazon, but no negative action should occur. 19. Will I have access to analytics? With Seller Central, you will receive detailed analytics that help sellers predict when and how much to sell. What are the analytics for Amazon Seller Central and Vendor Central? Vendor Central account holders must pay for these analytics. A+ content is enhanced that enables sellers to add more detailed item descriptions, higher quality images, videos and more. It is available only to Vendor Central members. There are two options available: Self Service and Amazon Builds For You. Self Service will cost you about $400 per product detail page, whereas Amazon Builds For You will cost anywhere from $500-$1500 per product detail page. 21. Will I have access to customer data? With Seller Central, yes. You are able to access customer demographic and contact information, and can contact them for feedback or order-related topics. With Vendor Central you will not have access to this data. 22. What would result in an account suspension? Your account may be suspended if you violate any of Amazon’s policies, sell a restricted product, receive buyer complaints or if Amazon feels your product is underperforming. You will receive a notification informing that your account has been suspended and can check your status in your Performance Notifications. 23. What should I do if my account is suspended? You may appeal to Amazon. A successful appeal will include acceptance of what went wrong and a detailed Plan of Action to avoid the situation going forward. Do not try to set up a new account. This is against Amazon’s policies and could result in a ban. Amazon Seller Central doesn’t make it easy to call them. In fact, they initially present you with every option but a phone number. First, they’ll direct you to their FAQ section. If you don’t find your answer there, they ask you to email them. To get to the contact, you’ll have to log into your Seller account. In order to speak to someone on the phone, you must have a Pro Seller account. If you do have a Pro account, navigate to the “help” section. Once you’re in the contact section, you will have the option to open a case or click the “Click to Call” button. Rather than connecting you directly, Amazon will call you back. If you’re not a Pro member you’ll have to use email to contact them, or try contacting Amazon’s Customer Service and asking to speak with Seller Support. There are two major categories associated with seller accounts (this does not include any shipping or FBA fees). First, the sale-related fees. These are what you must pay when you sell any products on Amazon Seller Central and will depend on your selling price and item category. Next, there are fees associated with your account. You will either pay a monthly fee or listing fee, depending on which kind of account you choose. Amazon Seller Central UK is currently the biggest marketplace in Europe, with 60,893 active merchants. When signing up for a Seller UK account, you will have the option to sell exclusively in the UK or sign up to sell in all five marketplaces (UK, FR, DE, ES, IT). The process is similar to that of the US seller account, and using it you can choose to ship your products independently or sign up for Fulfillment by Amazon (FBA). The account options are also similar. You can choose a Basic seller account, which allows you to sell up to 35 items a month, or a Pro account if you plan to sell more than that. With a Basic plan, you pay only when an item sells, while a monthly fee is required with a Pro account. The fees associated are the same as US accounts. Selling in Canada is also similar. One of the main differences between a Seller Central account in the US and Canada is the number of products you’re allowed to sell with an Individual plan. Using Canada’s marketplace, an Individual Seller plan allows you to sell only 20 products a month. If you plan to sell more, you should go with the Professional plan. Their fee system is set up the same as the US, with account fees (listing fee for individual plan, monthly for professional), referral and variable closing fees. Sellers also have the option to use FBA. Amazon’s Seller Central Germany (https://sellercentral.amazon.de) marketplace is currently the second most popular, with 49,946 active merchants. It’s also the most lucrative market in the UK. Like selling in other countries, set-up is a simple process. If you are based in Europe, simply sign-up for a seller account as usual. If you are based outside of Europe and would like to sell in Germany, the easiest way to create an account is to first sign up through Amazon.uk, and choose a unified account (this allows you to sell to all marketplaces in the EU). Remember, selling products in another country will generally require you to translate your product listing to the native language. While Amazon can translate for you, it may not be optimized correctly. The type of support you have access to depends somewhat on whether you’re an individual or professional seller. If you’re a professional seller, you have the option of phone support. From there, it lists ten of the most frequently asked questions for you to choose from. If none apply, click the “I have a question that’s not listed above” link. You will then be prompted to log in. If you have a professional account, you’ll be able to either open a case (email Amazon support) or choose to have them call you. Individual accounts can only use the email options. Once you open a case it will be stored in your Case Log, which shows updates on all your open and closed cases. Amazon EU currently consists of 5 marketplaces: Amazon UK, FR, DE, ES, and IT. All can be accessed with one login. Most sellers use more than one marketplace (over 10% use all five). This is likely due to the fact that Amazon offers an EU-wide FBA service. Using the service, sellers can ship their inventory to warehouses all over the EU including France, Germany, Czech Republic, etc. The Amazon Seller App helps you manager your business over mobile devices. Japan is great market for sellers to break into – currently, Amazon’s e-commerce marketplace in Japan receives 17 million of PC unique visitors and 30 million mobile unique visitors. To sell in Japan, sellers have the option of using Fulfillment by Amazon, which can help ensure that deliveries arrive on time and as quickly as possible. Additionally, customer service will be handled in Japanese on your behalf. As far as payment, sellers can register for Amazon Currency Converter, which will deposit your payments into your bank account every 14 days in your local currency. 35. How many marketplaces does Amazon operate? The biggest one is that it allows sellers to expand their audience and leverage the Amazon name, rather than having to establish their brand independently in another country. And as of 2017, Amazon’s European online buyers reached over 340 million. By expanding, brands will gain access to that large audience. Beyond that, Amazon will continue to handle packaging and shipping of your items through Amazon Fulfillment Centers located all over the world. Keep in mind, sellers will have to ship their products to an established Fulfillment Center, which may not be in the country the order was placed. 37. How does a company get started with global seller central and global selling? 38. When It Comes To Vendor Central and Seller Central, What kind of taxes and additional fees can I expect? That will depend largely on where you plan to sell. In Europe, for example, you’ll have to deal with the VAT tax. Under EU law, Amazon is required to charge VAT fees on monthly subscriptions – even if a seller hasn’t made any sales. 39. What Is the Amazon Marketplace? Amazon Marketplace is the e-commerce platform that enables third-party sellers to market their products on Amazon. You can reach the Amazon Marketplace home page here. If you start selling with Amazon, you’ll begin by using Amazon Seller Central. That’s part of the Amazon Marketplace platform. When it comes to shipping products to your customers, you can choose to use either Fulfillment by Merchant (FBM) or Fulfillment by Amazon (FBA). While there are plenty of benefits to selecting FBA, it will eat into your profit margins. 40. What Is an Amazon Pro Seller Account? As a rule of thumb, it’s best to opt for an Amazon Professional Seller Account if you’re moving a lot of merchandise every month. When you sign on with Amazon Seller Central, you can choose an Individual or Professional Seller option. If you plan on selling more than 40 items per month, you should pick the Professional Seller plan. It will cost you an additional $40 every month, but you won’t have to pay the $0.99 fee per item. So it’s a net benefit financially. On Amazon Seller Central, you’ll still have to pay the referral fees and variable closing fees with a Professional Seller account. 41. Will Amazon Seller Central Provide a 1099 Tax Form? Amazon Seller Central will provide you with a 1099, but only if you meet certain criteria. You must have at least $20,000 in sales and more than 200 transactions. Please note: if Amazon doesn’t provide you with a 1099 tax form, that doesn’t mean you don’t have to report the income. Talk to your tax advisor about how you should report Amazon income. 42. How Can I Cancel Amazon Seller Central? If you’d like to close out your Amazon Seller Central, you can do so. Keep in mind, if you want to just suspend the account for a while rather than formally close it for good, Amazon enables you to do that as well. Once you close out your account, it can’t be reactivated or reinstated. You can find complete instructions on how to pause or cancel your account on the Amazon Seller Central website. 43. How Can I Create Single Use Promo Codes in Amazon Seller Central? If you’d like to give a loyal customer a promotion code that can be used just once, you can set that up in Amazon Seller Central. It’s typically a good idea to offer a single use promo code as opposed to a multi-use promo code. That’s because hundreds of people could take advantage of your multi-use code and wipe out your inventory at rock-bottom prices. Follow this guide if you’re interested in setting up a single use promo code. 44. What Is the Amazon Vendor Central Demand Forecast? Amazon Retail Analytics (ARA) provides vendors with important info regarding sales, market trends, geographic performance, and customer reviews. Recently, Amazon added a new feature, called Probability Level Demand Forecast. It’s a forecasting model that helps vendors determine the inventory levels they need to set for the near future. As with most predictive models, though, it’s not 100% accurate. The report is included with ARA in Amazon Vendor Central. 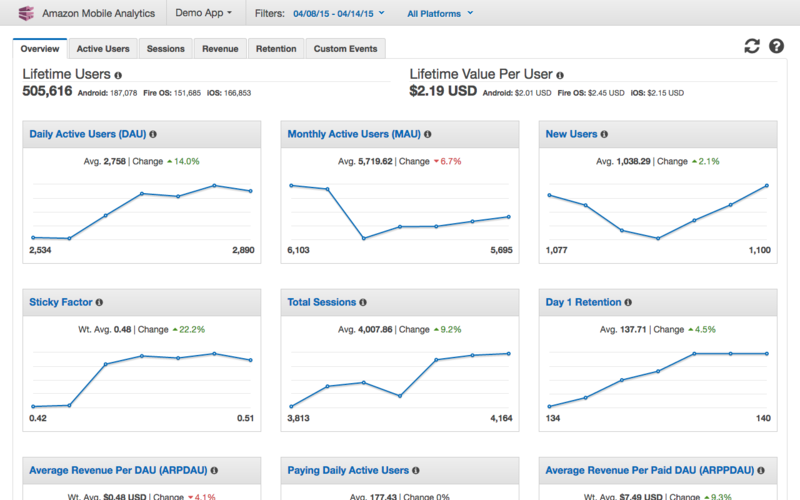 According to the latest data, Amazon currently has 310 million active users. Why is that important? Because it shows that there’s a market for just about anything on Amazon. In other words, if you’re selling products online, you can almost certainly reach potential customers as an Amazon seller. Of course, it’s not free to sell on Amazon. Doing so will eat into your profit margin. But ask yourself this: if you gain a lifelong customer, is the small loss in net income worth it? Not only does Amazon have a lot of users, it also has a lot of sellers. In 2018, Amazon earned almost $43 billion in revenue from third-party sellers. Those third-party sellers make up about 50% of paid units sold on the platform. Why is that important? Because it means that there’s some tough competition on Amazon. That’s why you need to stand apart from the crowd. Offer a unique selling proposition that blows away your competitors. Get creative with your imagery and ad copy. Run promos that reel in new customers. Without those kinds of strategies, you’ll find it very difficult to generate a positive return. According to one report, more than 80% of Amazon sales go through the so-called Buy Box. If you’re unfamiliar with the Buy Box, it’s the box with the “Add to Cart” button that appears on an Amazon product detail page. On a desktop platform, it’s often on the right-hand side of the screen. When an Amazon shopper clicks the “Add to Cart” button, the seller who won the Buy Box will get the revenue from the sale. In short: you’re missing out on a lot of market share if you don’t take steps to win the Buy Box. What happens if I just signed up for Vendor’s Central and have now decided it was a bad idea and want to close my account at Vendor’s Central? Close the account fast! I dont think that is the best platform longterm. If we select Seller Central and we are selling seasonal products, can we uplift the end of season stock from Amazon’s warehouse? 1. How do we separated the dog treat vendor # PE09F from our houseware products BRPM0? 2. How do we change the freight from prepaid to collet? 4. How do we get our products in to more than one fulfillment center? Hi Jerry, I recommend you send these via our contact form. Sounds like we should talk!